Making Your Neopet Look His/Her Best! So you want your pet to look totally fashionable like the other user’s pets? But you just DON’T KNOW HOW? You’re not sure what things to buy, how to put it all together? What if I told you there’s no amazing secret, and it’s not difficult at all? What if I said there is an easy way to make your pet look awesome? Let me help you make YOUR PET the center of attention on the Customisation Boards. For a full list of clothing items, ask around the Customisation Boards and they will certainly direct you to some good petpages. When dressing up your pet, there are a few things to consider. Let’s run through them: theme/matching, background, main clothes, floor accessories, & handheld items. These are the five main things you think of when you go to choose some clothes for your pet. You also have to make sure your pet LIKES what you’re trying to put on him/her. Now I will explain in depth the importance of each listed theme. Theme/Matching: First, you must look at what color your pet is. Depending on the color, you must choose a theme that suits the items that would look good with your pet. For example, if you have a grey pet, then you would probably choose a sad theme – grey is the best option. The other thing is that Royal Pets, Desert Pets, and any pet with clothing that accompanies the paint brush will probably be a tad harder to place, but cheaper, because you won’t have to spend as much on clothing. If the color’s pretty general and would look good with almost anything, look at the species and where it would naturally look nice. Like a Pteri would look best on a Cloudy Sky Background – this is based on the concept that a winged neopet would enjoy flying. You wouldn’t put a Kougra (unless it’s faerie) on a Sky-themed background, because they are ‘land-dwellers’. The other thing is that most species have species-only clothes that can only be worn by the specified species. This is very useful, because the species-only clothes usually are a bit nicer than the other clothes. With that covered, let’s moving on the actual clothing choices. Background: Once you’ve decided on a theme, you have to choose a background for your pet. Generally you’d choose a theme while looking at backgrounds, but in case you haven’t, I’ll go over this. If your theme is adventure, then you’d look at backgrounds that reflect an adventurous personality or some foreign place. I would consider using a Creepy Cave Background, but if your pet is aquatic, then an Underwater Shipwreck Background would work great. Just like those two backgrounds relate back to my theme – Adventure – you need a background to relate back to your chosen theme. Although a lot of people don’t realize, the background is probably the most important thing, because it’s the foundation for your whole scene. Main Clothes: Main Clothes are the clothing items that go directly on the body. This would include: shoes, hats, skirts, shirts, etc. Again, main clothes must relate back to the theme, but they also have to look good with the background. You wouldn’t put a School Girl Skirt on someone on an Underwater Background – I mean, really. What would a School Girl be doing underwater with her (not water-proof) uniform? o_O It would be better to put School Girl clothes on someone on a Classroom background. COMMON SENSE. Going back to the Adventure theme, you’d want to have your pet wear a Daring Adventurer Hat and Explorer Background, because they fit the theme. Another thing to consider while choosing main clothes – will the colors match my pet’s color? A pet wearing clothes that completely clash with its color doesn’t look half as good as a pet whose clothes match the color. And having the exact same color doesn’t look amazing either. For instance, a pink pet wouldn’t look as nice with a set of Fire Faerie Wings as a fire pet would. A pink pet would be better with Dark Faerie Wings or a Purple Feather Boa. -Does this accessory compliment my neopet’s size? -Does it match the theme? -Would I find this item in the place my background represents? The last question is just common sense. Think of it this way: Would I find a Green Crystal Shard in a Rubbish Dump? Well, no, you wouldn’t. So you wouldn’t put that crystal with your dump background. Handheld Items: Last but certainly not least, let’s talk about Handheld Items. These are, as the name says, items your neopet would hold. First, make sure your neopet is standing up and has an arm that can hold the item, otherwise it will be pinned to your neopet’s side, and that does not look good. After that, the usual – make sure it matches your theme and is not too big. After all the examples I have already listed, I won’t bore you with another one, but once again I have to say; use your common sense. Does it make sense to use this item? Let me tell you about one other aspect related to Customisation – the Customisation Spotlight. This is a contest that works on a weekly basis, and is very simple. All you have to do is dress up your neopet really nicely and then submit your neopet. Usually, hundreds and thousands of people submit their neopets to the Customisation Spotlight, making competition pretty rough. Even though the majority of entries are neopets with little/no/clashing/unorganized clothing, there are still many well-dressed neopets entered each week. Winners are decided by a vote from the users. Users go to the ‘vote’ section, and each neopet is displayed in front of them one at a time. Depending on how much the user likes the neopet, they can give the neopet a rating anywhere from 1 to 10. You can rate 100 neopets a day – and like TNT says, when rating entrants, time flies by! The Customisation Spotlight is split into two sections – Neocash & Neopoint. There are three winners each week in each category. This makes the Customisation Spotlight very fair, because you don’t have to buy Neocash to win. Who knows – if you make your pet look really amazing, you might be the next winner of this Spotlight, and add a shiny trophy to your neopet’s collection! -Don’t choose items that are way too expensive for you. -Always use common sense and don’t rashly spend your neopoints without thinking. -Feel free to ask around the Customisation Boards for help and opinions. The people there are very friendly and will lend you a hand. -You don’t need Neocash to make your neopet look fabulous! 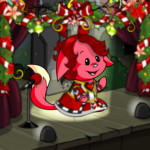 Although Neocash is very helpful because the NC Mall offers a variety of items, you can make your neopet look amazing without spending real life money. Well, that’s it for my guide! I hope I have helped you in your quest to make your pet look wonderful.